For some reason, every winter the cold weather never ceases to surprise me. And January so far has been no exception. All I crave on these cold winter nights are warm comforting dishes. I recently discovered this recipe thanks to Women’s Health Magazine and it definitely does the trick for cold winter nights! The best part is it takes less than 20 minutes to make AND only requires one pot (I love my one pot recipes!). Find out how to make this deliciously, unexpected combo below! 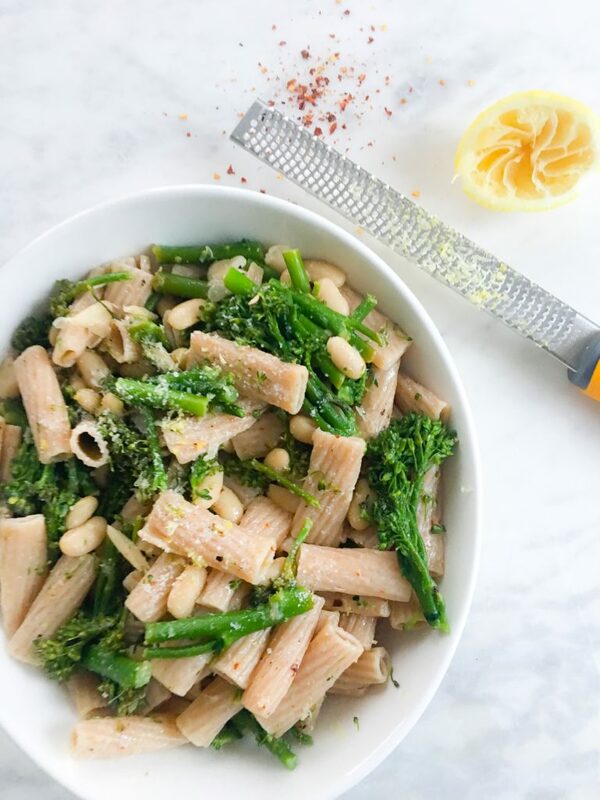 I never would’ve thought to try broccolini and lemon in pasta as I’m used to more traditional sauces (like tomato) BUT I’ve been branching out lately and decided to give it a try. 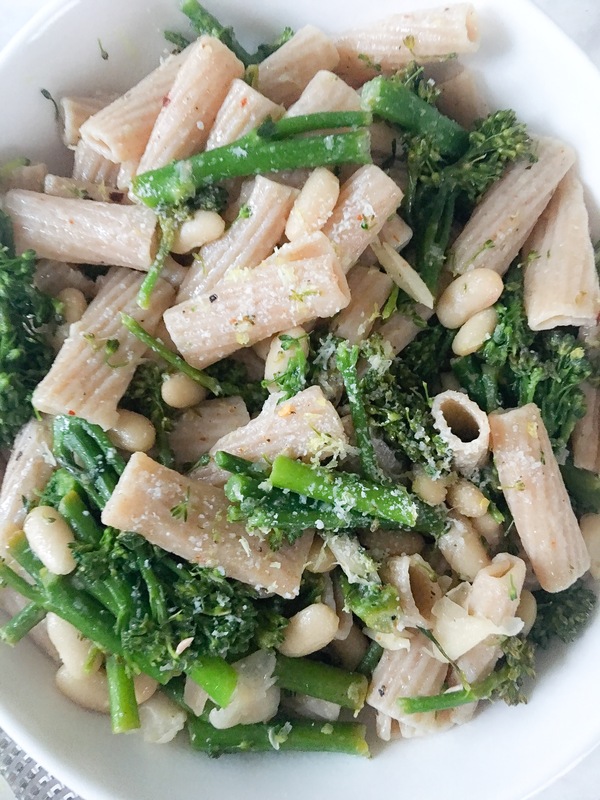 I figured if I could make cashews work as a pasta sauce, I could at least give this one a try! 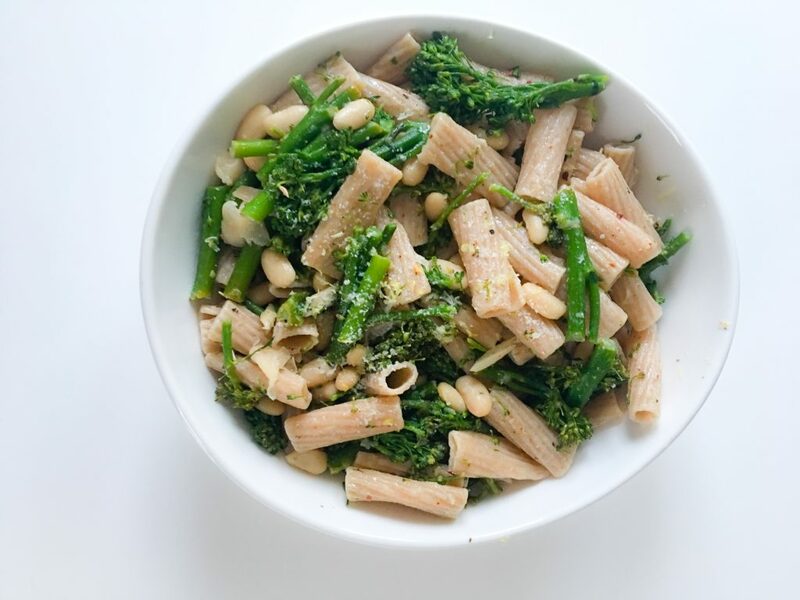 It also incorporates white beans as the protein making it a great meatless option. If you are looking to branch out this year I encourage you to give this recipe from Women’s Health Magazine a try! Remember you only need one pot for this!! With said pot, fill with water and bring to a boil. Pour in the pasta and cook according to instructions. In the mean time clean broccolini and roughly chop into threes. 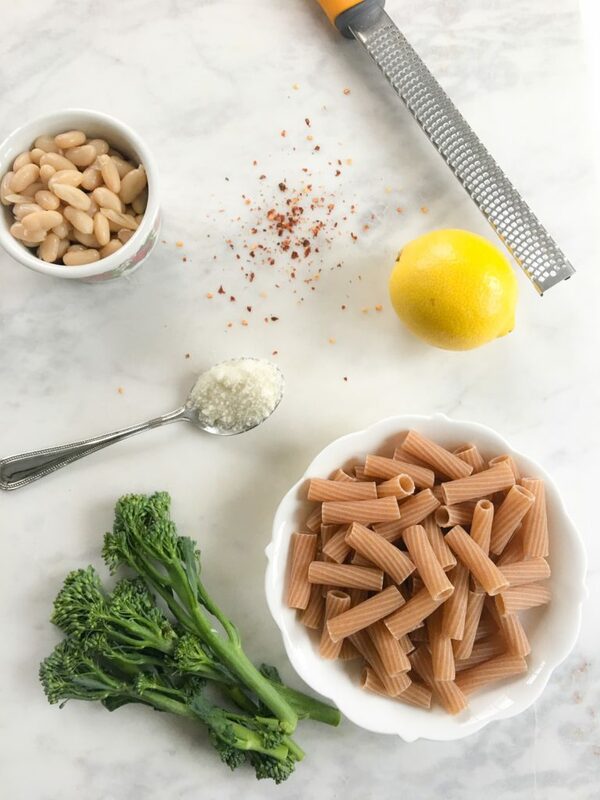 When the pasta has two minutes left, pop the broccolini into the water with pasta. Drain both ingredients and pour back into the pot. Stir in the olive oil, chili flakes, lemon juice zest and sprinkle with parmesan cheese. Serve immediately and enjoy!